Ahead of the upcoming 2019 event, the Simplyhealth Great Manchester Run has worked with runners and well known Manchester faces to create a film showcasing the inspirational poem, Do Something, by the much-loved Mancunian poet Tony Walsh. The film was revealed for the first time today (23 January) at the People’s History Museum in Manchester to celebrate the launch of this year’s Simplyhealth Great Manchester Run, which takes place on Sunday 19 May. The poem, which was created specifically for Manchester’s most loved running event, embodies the universal feelings of ambition, motivation and celebration experienced by those who take on the challenge; and the new film sees Longfella’s poignant words spoken by actors, influencers and real runners who connect to them. Returning for a 17th year, it gives runners the chance to experience an event like no other in the heart of the city centre, with 10k and half marathon courses known for their buzzing atmosphere and incredible local support. Paul Foster, chief executive of The Great Run Company, said: “Since the first event in 2003, over 300,000 people have crossed the Simplyhealth Great Manchester Run finish line on Deansgate. 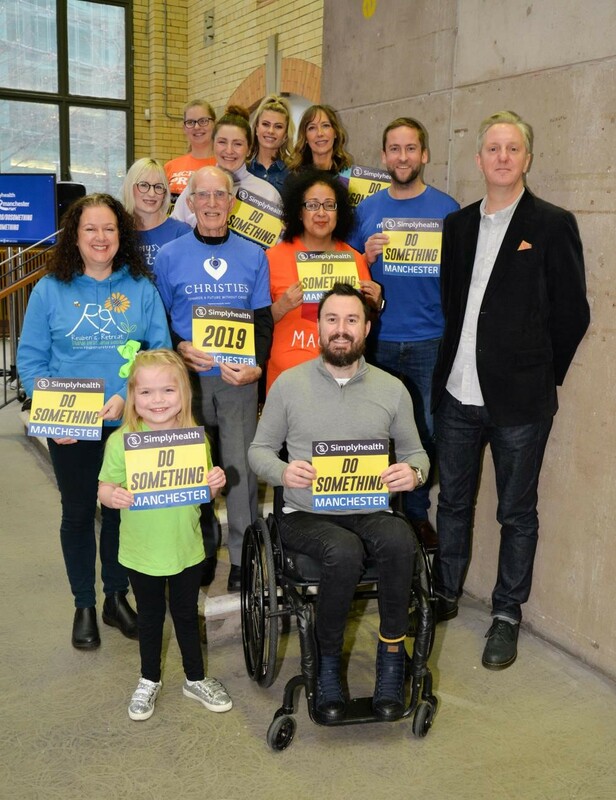 Whether they’re taking on a personal challenge, raising money for charity or simply running for fun, Do Something explores a range of themes that resonate with each and every one of these runners. Clint Boon: the radio presenter, DJ and Inspiral Carpets keyboardist has hosted the Boon Army Stage on the course for over a decade, entertaining thousands of participants as they take on their running challenge. Heather McHugh: two days after giving birth to her third child in May last year, Heather, 27, a midwife from Kingswinford in the West Midlands, found herself in pain with an unrelated pelvic injury. After visiting A&E, she was referred to the maternity unit to be checked over, and after a few hours she was battling sepsis. Heather is running the half marathon to raise money for the Sepsis Trust and to celebrate her one year anniversary of surviving the deadly condition. Bambos Neophytou, Brand Director at title sponsor Simplyhealth, said: “The Simplyhealth Great Manchester Run is renowned for its buzzing atmosphere and enthusiastic crowds. Whether you’re training for your first event, have got your eye on a PB, or have children who are budding young runners who want to experience their own finish line moment, Simplyhealth is supporting runners and their families every step of the way. As the UK’s original running events series, we know a thing or two about motivation. Over the last three decades we’ve realised it doesn’t matter why people run or how far they go – the one thing every runner has in common is that moment of triumph when they cross the line. We want everyone to experience that feeling, so we’ll do whatever we can to help our customers achieve their goal and be their greatest. Starting with the very first Great North Run in 1981, our events have always been a celebration of what makes our locations great. The Great Run Series now sees 230,000 participants a year taking part. The events programme stretches across the UK from Aberdeen to Portsmouth offering a full range of distances from 5k through to the half marathon. Great Run Local is a series of weekly events staged in our key cities. All designed to provide the support and advice for participants of all abilities to achieve their personal goal. To find out more about the events and services provided by Great Run and its partners visit www.greatrun.org. Since 1872 we’ve been helping people get healthcare through our health plans, charity partnerships and by being a voice in healthcare. Today we’re delighted to be the UK’s leading provider of health plans, dental plans and pet health plans, which help individuals, families, employees and pets to get support with their health when they need it. We don’t have shareholders which means we are totally focused on making sure no one goes without the healthcare support they need, and why we are passionate about being a voice in healthcare and partnering with charities to reduce health inequality. Last year we donated £1.13 million to our charity partners which equates to over 10% of our pre-tax profits. Additionally, our partnership with the Simplyhealth Great Run Series raised over £40 million for charitable causes.